Stock markets are volatile, traders are capricious, and news can dramatically impact on both before the rest of us have even finished reading the headline. The thing is, the chances of timing entry at the lowest point of a market cycle and exiting at the top of a market are so negligible as to be unquantifiable. So how does anyone make any gains from investing? The answer is so boring that many people actively turn away from the evidence because it kills the thrill of hoping to win. 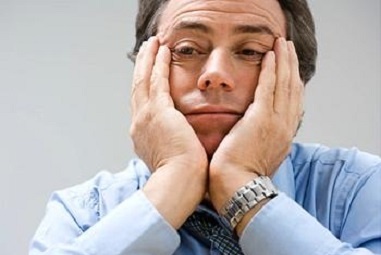 But the truth is, when it comes to investing, the most boring approach to the market is the most profitable. I’m going to show you how you can invest in stocks and shares, avoiding the shocks and scares, and have the best possible chance of the highest possible outcome. I’m also going to give you the chance to have your own portfolio reviewed by me to assess your likelihood of investment success. From their high in May 2015, global stock markets lost around 19% of their value through to the beginning of 2016. This qualified as a correction – that’s a drop of 10% or more. 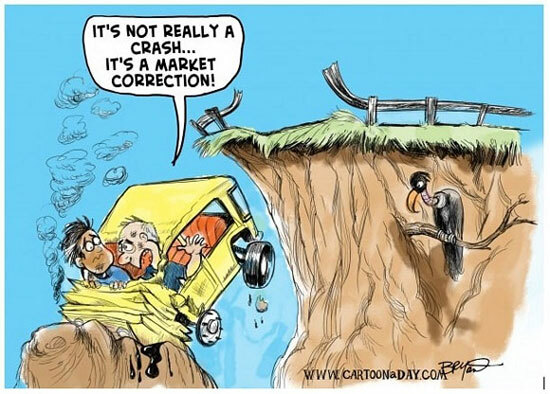 A correction isn’t the same as a bear market, which refers to a decline of 20% or more lasting at least two months. The thing is, you don’t need to care because corrections and bear markets are relatively frequent...since 1980 alone, the global stock market has experienced 12 corrections and 7 bear markets so far. That averages out at a downturn every 2 years or so. And over the past 36 years stock prices have spent almost 30% of trading days in corrections or bear markets. If you’d reacted to the news like the global stock market clearly did over the same period, chances are you would have been slower and mistimed every entry and exit. Which is why you should ignore the news – specifically with relation to financial decision making. Could you predict a correction? The average number of days from the start of a correction to its bottom was 87 days. The fastest decline was 28 days, while the slowest was 124 days. 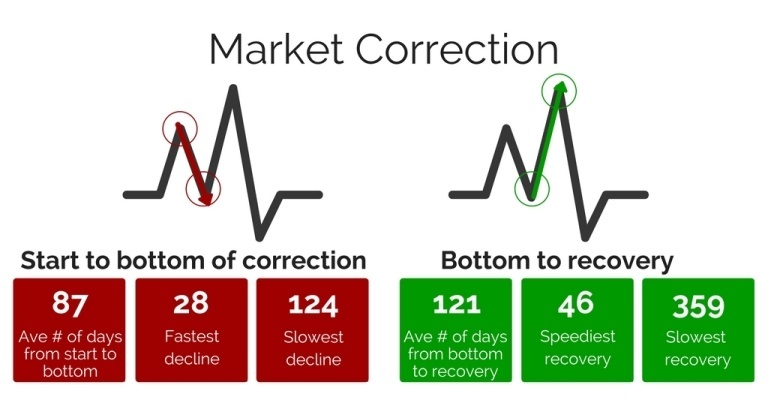 The average number of days from a correction’s trough to recovery was 121 days. The speediest rally was 46 days, the slowest 359 days. Can you make an accurate, watertight prediction from those numbers? I can’t. Could you predict a bear market? 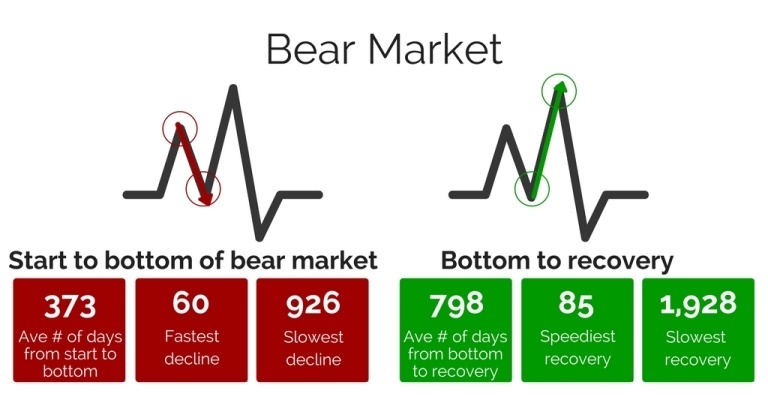 Bear markets have generally taken longer to reach a bottom and longer to recover. The average number of days from the start of a bear market to its bottom was 373 days. The fastest decline was 60 days, while the slowest was 926 days. The average number of days from a bear market trough to recovery was 798 days. The quickest recovery was 85 days, the slowest 1,928 days. Again, can you make an accurate, watertight prediction from those numbers? I certainly can’t! If you go back and review the press headlines announcing each downturn it’s the only place you’ll see a discernible pattern – every single time they made the downturns seem like shocking turmoil. 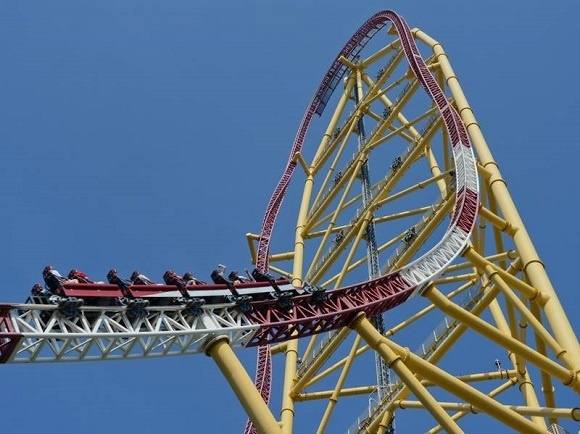 What happens when you ignore best advice and chase the thrill? A review of corrections and bear markets suggests that patience and discipline are the best response to market mayhem. “...Formerly a senior manager at a state-owned company in Shenzhen, [he] started with a five million yuan ($800,000) stock portfolio last year. He borrowed an additional 10 million yuan from his broker, and the value of his initial investment doubled in a year. At a dinner for big investors arranged by his broker, Mr. Zhang found that several of them made 10 or 20 times their initial investment last year. These people had borrowed money from other channels, such as umbrella trusts, now banned, that allowed people to borrow up to 10 times their investment money. This year, Mr. Zhang gave up his stable job, with an annual salary of a million yuan, to be a full-time investor. Work wasn’t that busy at the state company, but it got in the way of trading. He says he came out of a meeting one day and found he had lost a year’s salary in an hour, so he decided he should focus on investments. The article was written 3 weeks before the Chinese stock market peaked. We can all guess Kevin Zhang’s fate. Too many people get so lured by the prospect of rapid gains that they take on high levels of risk, often at precisely the wrong times. Only a boring, disciplined, systematic approach, with a diversified asset allocation and long-term mindset, wins in the markets. My job is to make my clients as much money as possible and I consistently exceed their expectations. That’s not an unsubstantiated boast; it’s a fact. And the majority are able to see exactly how much I can save them in fees alone before they even have a conversation with me. If you would like to benefit from the same advantage, just ask for an X-Ray of your current portfolio. 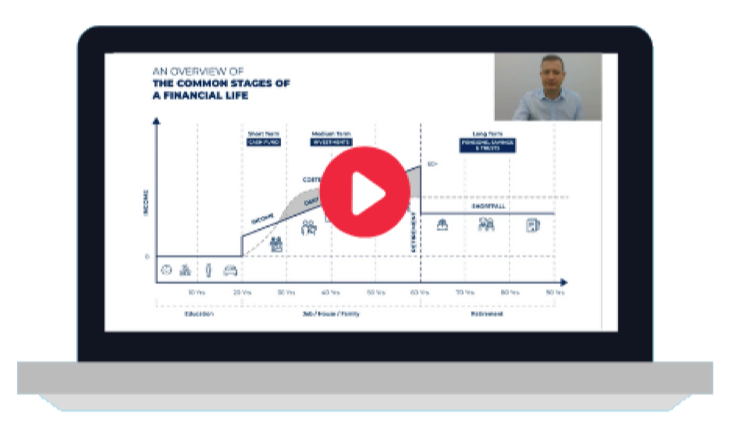 This is a simple process that will allow me to show you if I can save you money, and if so how much, what this will mean to your portfolio, and whether I believe I can help you beat your current returns. It’s no cost and no obligation – it’s just a second opinion so you don’t have to make guesses, just informed choices based on the boring facts!